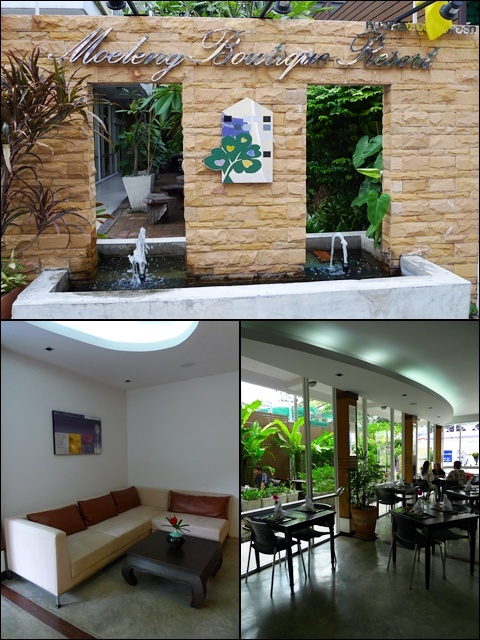 S2S Boutique Resort Bangkok – RM70 per night, in Pratunam?! From previous chapter – Bangkok – Wat Arun/Wat Pho and Giant Baguettes …. What a long hiatus since the last post on Bangkok. Before amnesia kicks in (again), allow me to refresh my aged mind, with a simple, food-less post. Vibrant floral influences abound, with a generally rustic, yet modern decor, and a charming little boutique resort is born. 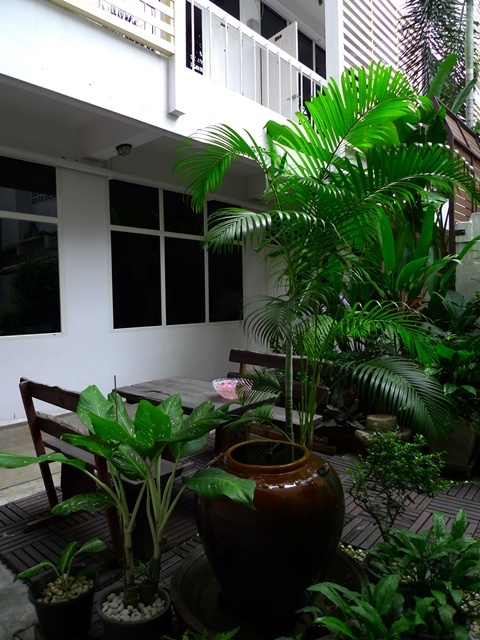 The first two nights we spent in Lamphu House on Soi Rambuttri near Khao San Road. 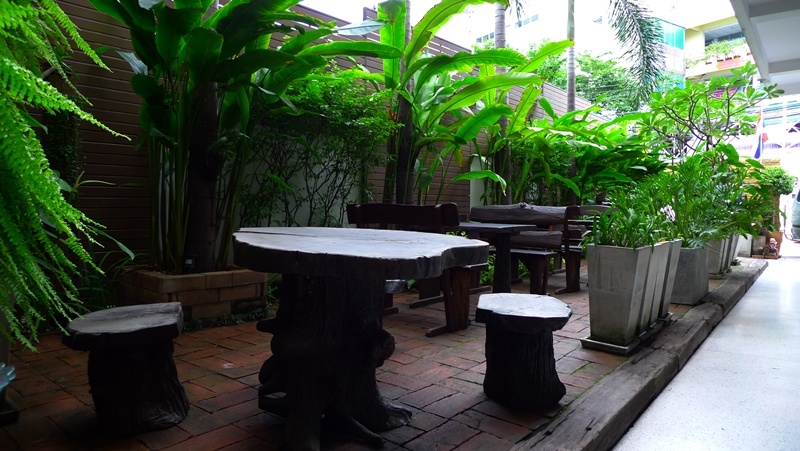 A budgeted option, given the location amidst the universally-acknowledged backpacker’s haven of Khao San Road. On the 3rd day, after our excursion to the famous Floating Market @ Damnoen Saduak, Ratchaburi on the previous day, we checked out from the homely Lamphu House and proceeded to check in to our hotel for the remaining days of our trip; S2S Boutique Resort Bangkok in Pratunam area (within the city centre of Bangkok). 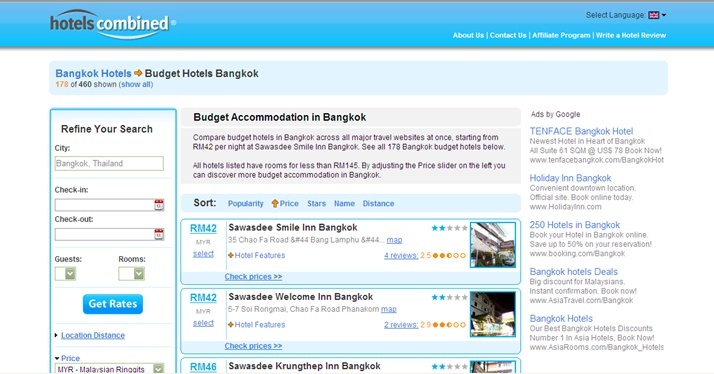 Frequent travellers to Bangkok, or even those on a shoe-string budget will attest to the fact that seeking a budget hotel, or cheaper hotels in Bangkok’s city centre may be a difficult task indeed; almost akin to searching for a needle in a haystack. 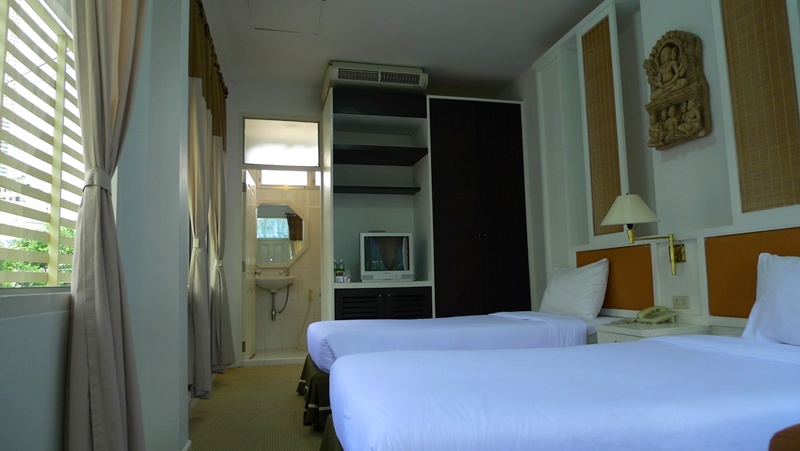 An air-conditioned room, with attached bathroom & hot shower, TV, fridge, minibar and other basic amenities rarely come below RM100/1000baht per night. But lo and behold, imagine our surprise when we managed to book two rooms at S2S Boutique Resort for a mere RM70/700 baht per night !!! Yup, read that right. A room for two person, at only RM70 per night. Dirt-cheap or what? But we booked earlier, about a month before we departed to Bangkok. E-mail reservation is possible, and the hotel’s staff are certainly friendly and accomodating. We were even served with a welcome drink of pineapple juice the instant we walked in with our luggages! Picture perfect – Lush greeneries, and a serene atmosphere. The term ‘Boutique Hotel’ depicts the hotel exactly, fitting the description right to a tee. One can’t help but feel uplifted, and immensely rejuvenated after a night’s stay here. The theme incorporates a lot of lush greeneries and fresh flowers as decoration, setting an idyllic, and relaxing ambience. The rooms are in tip-top condition, very clean and comfortable. The attached bathroom comes with hot shower, and a most pleasant large wooden shelf for one to put their toiletries and such. The air-conditioning system comes with individual control as well. Best of all, the room also comes with a television with cable channels. Not 10, not 20, but an astounding 90+ channels!!!! Of course, most in Thai language, but still a rather exclusive touch to the rooms, as most budget hotels, or guesthouses do not even provide a TV in each room. 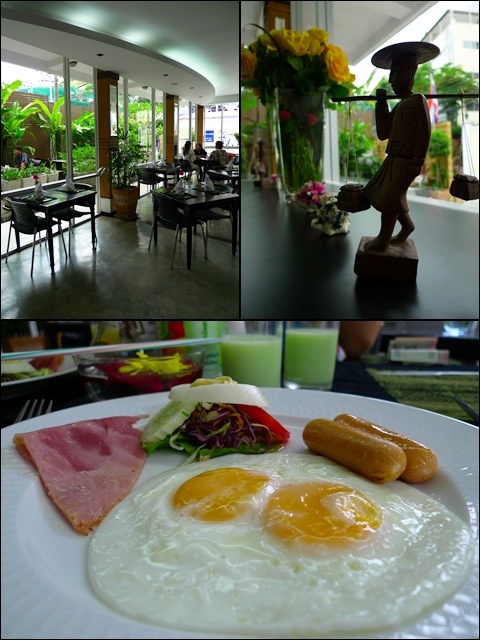 The simple cafe at the lobby that serves breakfast sets, without menu. But best of all, S2S Boutique Hotel is located right smack in town area, yet hidden away from the hustle and bustle of the traffic in the city. The nearest shopping malls being Platinum Mall and Central World, about 10-15 minutes walk from the hotel. For the time being, the nearest train station may require some walking, as they are still in the process of expanding the train service to a yet-unofficiated station a stone’s throw away from this hotel. But hailing a cab in Bangkok is never a hassle, as taxis roam the streets 24 hours a day. And in comparison to Malaysia’s very own taxi service, the ones in Bangkok charge reasonably cheaper rates, with most rides in and around town area at less than RM10/100baht per way. And most of the time, they DO use their meters, hence no bargaining necessary. 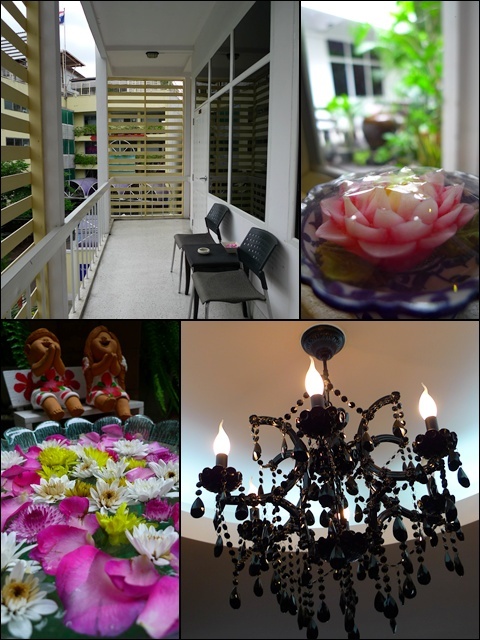 Location : S2S Boutique Resort Bangkok (Moeleng) – previously known as Moeleng Boutique Resort, @ 21/1 Soi Ratchatapan (Moeleng) Ratchaprapop Road, Makkasan, Ratchathevee Bangkok 10400 Thailand. Tel No : 66(0)-2642 4646. Fax No : 66(0)-2245 4386. Hotels Combined (http://www.hotelscombined.com/) – Easy to navigate, search for hotels all around the world, and even to the extent of listing the hotels according to your needs/preferences. Realise that the rates we got for S2S Boutique Resort was for early online reservation, and probably promotional rate. Normal rates on paper start from 1500baht/RM150 per night for the standard room, up to 3000baht/RM300 per night for a junior suite. If you’re one who dreads walking for miles before reaching your favourite departmental store, and would rather stay in a hotel that’s within spitting distance from the retail outlets, you can search for other options at http://www.hotelscombined.com/, a no frills, no bias search engine that seeks hotel rates and availability, and even compares prices and promotions from different merchants. You can search for hotels in almost every country in the world, and they’re even sorted out according to the cities! Click HERE for the Malaysian listing, and you’ll see what I mean. BKK budget hotels are great value and comes with excellent service with incredible distractions. Agreed with BBO, place looks clean and simple. that is super super cheap!!! thanks for all info. hope to get this cheap accomodation on my visit next time! Beautiful, calm and relaxing ambience. A nice place to recharge and rejunevate. And at a bargain too. Suitable for me who is constantly out of budget and stress prone!! looks like an affordable place to stay in. Neat and clean too 🙂 more food in BKK posts? I shall wait! BBO : fuss free, but with more than the usual basic amenities. quite good actually. BSG : agreed. hard to find good guesthouses at competitive prices here in Msia. iamthewitch : so the $ can be spent elsewhere, eh? ai wei : you're welcomed. do enquire about longer stays, and more rooms. probably you'll get a discount. christine : more food, no problem. RM70 can get such a nice place to stay, it's really a steal!!! when it comes to hotel, I don't look for those 4-5 stars one… in Bangkok, as long as the hotels are clean, within budget… it's Ok for me! What a deal! And a refreshing change from the Khao San/Rambutri's version of value for money… even Lamphu Hse shouldn't be charging as much they do. I shall check this out! Wow! This is fantastic deal…..pay less for a nice hotel. 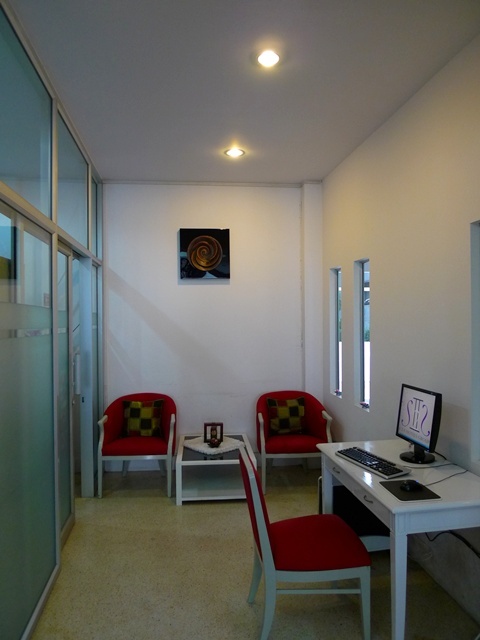 The Thai artistic and their facilities usually clean and they are service oriented. Unbeatable combination and very cheap price. Thanks for sharing. LFB : yeah, indeed. sometimes this type of getaway is the best, after some strenous works and such. SimpleGirl : for this price in Msia, you can probably get a room in YMCA only. 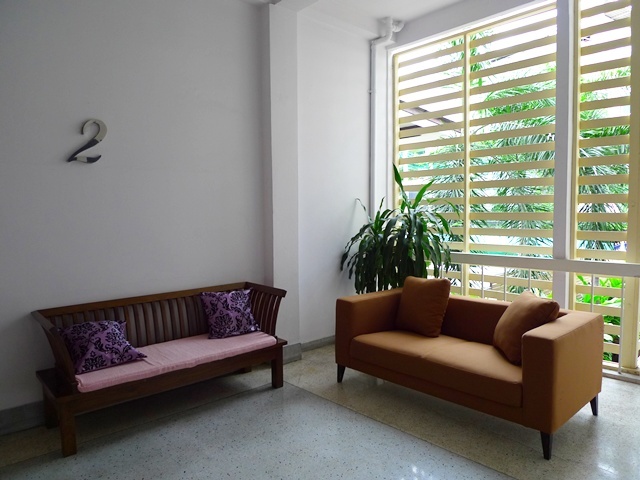 mimid3vils : a steal, compared to the common hotels or guesthouses in the city. they're at least more than RM100. thule aka leo : me too. not worth paying an arm and a leg for a posh hotel, only to be utilized come nighttime. 550ml jar of faith : realise that Khao San Rd's hotels are slightly more expensive than last time. only the really budgeted options are cheap. FoodNTravella : save up for the other activities. worldwindows : you're welcomed. esp at times like this, when ppl arent travelling much, one can get better deals from the hotels there. this hotel(S2S Boutique Resort Bangkok) is really really worse hotel i have seen in my life . the staff are cheap specially the manager of that hotel. i stayed at that hotel maybe couple month a go. since i was at that hotel i got headache from the staff of that hotel. that hotel has a good view from out side, but when you go inside of the (S2S Boutique Resort Bangkok) you will see what i am saying. when i got in the hotel i wish to sleep in street better then that hotel. Also house keeping clean the room every other day. anonymous : sorry about your poor experience. but our stay there was pleasant, with house keeping every day, and the staff generally very friendly and accomodating. but your comment on better to sleep on the streets than in the hotel, i think that's really uncalled for. I may be a foreigner, but I feel I have a Thai spirit. Sanook and Mai ben lai is my belief. These attitudes can take us through challenges with poise.